The Point Theatre, exhibition with other artists using love in art pieces. 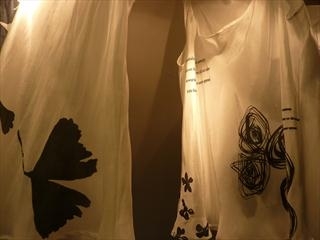 An installation of silk camisoles using printed gingko leaf and fragments of poetry by T.S. Eliot.